ANALYZING THE DEVELOPMENT OF THE GERMAN AND BRITISH AIR FORCES BETWEEN THE WORLD WARS REVEALS THE IMPORTANCE OF CRAFTING STRATEGY, IDENTIFYING ASSOCIATED REQUIREMENTS, AND MARSHALING THE REQUIRED RESOURCES TO TURN REQUIREMENTS INTO CAPABILITIES. 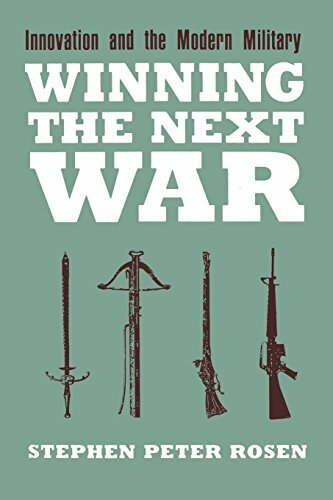 In his book Winning the Next War, Stephen Peter Rosen offers an answer: innovators in a peacetime military must formulate “a new theory of victory, an explanation of what the next war will look like.” To innovate for an uncertain future, political leaders and military strategists must prioritize threats, then formulate sets of options vis-à-vis the most significant threats. Because war must always be thought of as an instrument of policy, military innovation must be guided by a coherent strategy or at least a sense of what is politically desirable and feasible. With an understanding of acceptable options, government and military professionals can work with industry and academia to define requirements and pursue relevant technology. Analyzing the development of the German and British air forces between the world wars reveals the importance of crafting strategy, identifying associated requirements, and marshaling the required resources to turn requirements into capabilities. Factors beyond the state’s control often drive technological requirements. 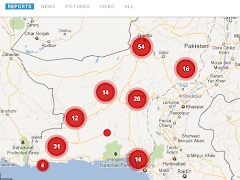 Structural factors demanding innovative responses include the technological progress of potential enemies and of civil society, as well as shifts in the state’s own geopolitical circumstances. Yet the task of responding to these structural factors—of translating the state’s desired security ends into military technological means—requires an intentional, collaborative, human effort. CONTRASTING THESE TWO AIR FORCES WILL ILLUSTRATE HOW THE GRAND STRATEGIES OF THE TWO STATES SHAPED MILITARY INNOVATION DURING THE INTERWAR YEARS. Successful strategy is not simply handed down from on high; likewise, military innovation does not emerge from some laboratory in finished, war-ready form. The cases of interwar Germany and Great Britain feature individuals and teams with different political aims, military proclivities, and technological interests shaping strategy and innovation through a process of debate, bargaining, and experimentation. Strategic innovators must engage in this messy, interdisciplinary process if they hope to develop and integrate new military technology. The development of specific airpower capabilities in Germany and Britain during the interwar years illustrates this role of strategic innovators as “system builders” and doctrine entrepreneurs who brave the gauntlets of government bureaucracy, industry, and academia to turn theory into capabilities. System builders in both nations prioritized requirements for airpower, steering technology in the directions their strategies demanded. The aircraft of the age serve as “crystallized moments of past human vision,” artifacts of the strategies that produced them. Contrasting these two air forces will illustrate how the grand strategies of the two states shaped military innovation during the interwar years. Germany in the 19th and 20th centuries was a growing land power surrounded by potential adversaries. These structural factors presented an enduring requirement to generations of Prussian and German strategists: the need to quickly seize territory, thereby securing a flank (or at least room to maneuver) at the outset of a conflict. The Germans responded by developing doctrine and capabilities to seek and win decisive land battles through mission command, maneuver, and concentration. This continuity in German strategic thinking can be traced from Clausewitz to Helmuth von Moltke (the Elder) in the 19th century, to Alfred von Schlieffen and his infamous mobilization plan, to Reichswehr chief of staff Hans von Seeckt in the interwar period. Therefore, a new means of rapid army advance held great appeal to military-minded Germans in the 1920s and 1930s, especially after the stagnant slaughter of World War I. So, to understand the Luftwaffe, one must study the German Army. THE LUFTWAFFE NEVER SERIOUSLY PREPARED FOR A STRATEGIC AIR CAMPAIGN AGAINST BRITAIN. THIS KIND OF MISSION WAS ALIEN TO THE LUFTWAFFE’S NATURE. The German Army experienced a revolution in military affairs during the interwar period, as the Prusso-German strategic culture converged with army officer Heinz Guderian’s operational innovations and Adolf Hitler’s expansionist aims. A motivated infantry and communications officer transplanted into the Motorized Transport Corps, Guderian sought out the latest writings from Britain, where theorists J.F.C. Fuller and B.H. Liddell Hart had spurred investment in mechanized warfare. Guderian became a system builder, developing and popularizing armored operations in the 1920s and early 1930s as Germany began secretly building new tanks. Despite organizational resistance from the army itself, Guderian and a like-minded minority of officers built an innovative, yet distinctly Prussian armor doctrine that would become central to the Wehrmacht way of fighting in World War II. Meanwhile, as Hitler rose to power in the early 1930s, he perceived France, Poland, and the Soviet Union as Germany’s primary strategic threats. France was the most militarily powerful state in Europe from the end of World War I until Germany’s resurgence under Hitler and maintained a heavy presence on the French-German border. On the other hand, Hitler conflated neighboring Poland and Slavic Russia with the imagined worldwide Jewish conspiracy central to his “long-established and unchanging ideological convictions.”Nazi Germany was bound to invade Poland and the Soviet Union at some point. To summarize, interwar Germany continued a strategic culture based on seeking the decisive battle, and Hitler had little trouble picking out enemies. With these continental adversaries in mind, Hitler enthusiastically supported Guderian and the emerging combined-arms doctrine journalists and others would later term “Blitzkrieg.” By 1940, the German Army could base its offensive against France on a main effort using 10 Panzer divisions, led by Guderian, and supported by an innovative new brand of airpower. How had this German airpower developed? The 1919 Treaty of Versailles forbade rearmament, limited the German Army to 100,000 soldiers, and dissolved their air force. Given this imposed force posture, yet cognizant of the growing value of military aviation, Hans von Seeckt took several measures to secretly develop the nucleus of the future Luftwaffe. He championed the rapid growth of German civil aviation.He also hid a core group of aviation officers in his army general staff, some of whom set up a secret military flying training program in Russia during a temporary thaw in German-Russian relations in the late 1920s. The army von Seeckt rebuilt was “the most air-minded of the major armies” at the time—despite Germany’s ostensible lack of an air force. These factors set the stage for the Luftwaffe’s rapid development in the 1930s. The primary requirement for airpower in Germany’s new combined-arms scheme was to strike critical targets just ahead of the army’s advance. Though the nascent Luftwaffe had espoused some strategic bombing rhetoric, Wolfram von Richthofen (cousin to Manfred von Richthofen, the Red Baron of World War I fame), emerged in the late 1930s as a successful doctrine entrepreneur for combined arms, air interdiction, and an early version of close air support. Leading the famed Condor Legion in support of General Francisco Franco’s forces in the Spanish Civil War (1936-1939), Richthofen consistently disrupted the opposition’s rear-area communications and logistics using Luftwaffe dive-bombers. On the other hand, level-bombing against more distant targets provided fewer benefits, if any, to Franco’s campaign. With the Condor Legion experience in mind, Richthofen continued to advocate for tactical airpower upon his return to Germany, leading a buildup of attack squadrons. The menacing Ju-87 Stuka dive-bomber would become the avatar of German interwar airpower innovation. This darling of the Luftwaffe leadership sported dive brakes to enhance its controllability and accuracy during the attack, and an outboard air-driven siren for increased psychological effect.The innovative Stuka devastated critical targets ahead of German mechanized advances into Poland, Denmark, Holland, Belgium, and France in 1939 and 1940. Of course, the Luftwaffe boasted more than just Stukas, and other technological aspects of the force further emphasize its continental character. The Luftwaffe’s primary fighter was the Messerschmitt Bf 109. The Bf 109 was well-armed, fast, and maneuverable, but its limitations are telling. Designed for localized air superiority and sweeps ahead of advancing ground forces, the Bf 109’s limited fuel capacity would become a significant issue during cross-Channel raids against Britain. This design feature indicates a breakdown in civil-military dialogue—a mismatch between Luftwaffe requirements for localized superiority, and Hitler’s limitless appetite for conquest. Beyond the Stuka and the 109, the Nazis produced a number of serviceable two-engine bomber types. The Luftwaffe also commissioned a few four-engine strategic bomber prototypes, but production was problematic and expensive. As Reich Aviation Minister and overseer of German rearmament in the late 1930s, Hermann Goering chose to build greater quantities of medium bombers instead. He and the other managers of the Nazi command economy set up their aircraft industry to produce large numbers of small aircraft, quickly—perfect for a short, decisive, continental war. THE GERMAN THEORY OF VICTORY AND ITS TECHNOLOGY WERE INNOVATIVE, BUT MILITARY INNOVATION MUST ALIGN WITH A STATE’S GRAND STRATEGY. IF A STATE INTENDS TO BE AN AGGRESSOR, IDENTIFYING THREATS AND REQUIREMENTS BECOMES SIMPLER, AND THE STATE SHOULD BE ABLE TO PERFECT ITS TECHNOLOGY FOR THE CAMPAIGN. Professor Barry Posen suggests the Luftwaffe never seriously prepared for a strategic air campaign against Britain. This kind of mission was alien to the Luftwaffe’s nature. The German military’s combined-arms scheme made it the preeminent land force in the world at the time; it quickly conquered large swaths of Europe. Nevertheless, the Luftwaffe could not keep pace with Hitler’s unlimited political aims; it seems Hitler and his military leadership had failed to establish a shared understanding of “the kind of war on which they were embarking.” The German theory of victory and its technology were innovative, but military innovation must align with a state’s grand strategy. If a state intends to be an aggressor, identifying threats and requirements becomes simpler, and the state should be able to perfect its technology for the campaign. What becomes more difficult in such a case, however, are the challenges of keeping strategic aims realistic, as well as planning for sustainment and potential contingencies. The case of Great Britain further illuminates strategy’s role in interwar airpower innovation. Especially in democratic governments, political and military leaders shape defense policy and acquisitions through dialogue and bargaining. Though this process is often messy and contentious, it also helps keep military means aligned with political ends. Air Marshal Hugh Trenchard, Britain’s Chief of the Air Staff from 1919 to 1930, strove to develop the Royal Air Force (RAF) for strategic bombing. Like many at the time, Trenchard believed the combined destructive and psychological effects of strategic bombing would cripple an enemy’s industry and logistics while causing social upheaval. In his zeal for building a bomber force, Trenchard advocated against purchasing pursuit aircraft, even after his retirement in 1930. But the RAF airmen who followed in the mid-1930s, chiefly Air Marshal Hugh Dowding, along with Prime Minister Neville Chamberlain, Minister for the Coordination of Defence Thomas Inskip, and Chamberlain’s eventual successor—a hawkish Member of Parliament named Winston Churchill—all recognized the need for more advanced fighters to defend the island nation against a resurgent Germany. DESPITE ITS STRATEGIC BOMBING ORIGINS, THE RAF CLAIMED ITS PLACE IN HISTORY AS A DEFENSIVE FORCE IN THE BATTLE OF BRITAIN. A STRATEGY FOR SURVIVAL, DEPENDENT UPON AIRPOWER, ALIGNED THE EFFORTS OF BRITAIN’S GOVERNMENT, MILITARY, AND INDUSTRY. Churchill had fallen out of the British political mainstream by the early 1930s, due in part to his frequent calls for robust national defense and his blunt pronouncements regarding the German threat—unpopular positions in a society still recovering from World War I. Yet, Churchill would be vindicated as Germany rearmed and Hitler’s belligerence became clear. 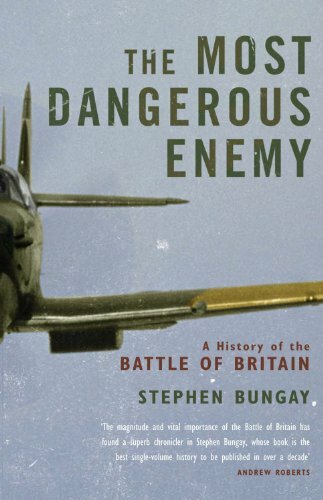 In particular, “the marriage of airpower to overall German technical, industrial, and military capabilities created a British vulnerability to direct attack of an order that had not been perceived for several hundred years.” In response to this threat, Britain’s own rearmament programs gained political favor and resources, attracting some of the best minds from government, industry, and academia. Inskip, a career bureaucrat, was entrusted with allocating funds for national defense beginning in March 1936, and he decided to purchase even more fighters than the RAF itself had requested. Inskip’s stated intent was to ensure Britain could “repulse a knock-out blow within the first few weeks, trusting thereafter to defeat the enemy by a process of exhaustion, resulting from our command at sea.” Cost-benefit analyses also supported Inskip’s choice: fighters were cheaper and easier to produce than bombers. Britain’s industry, combined with substantial Lend-Lease war materiel from the United States, could sustain and replace fighter fleets through a long war if Britain could survive Germany’s initial assault. Air Marshal Dowding’s new Fighter Command raised its flag in July 1936. Dowding was a system-builder, a longtime advocate of fighter aviation in the bomber-dominated RAF. After standing up Fighter Command, Dowding wasted no time in building up a complex, resilient network of observers and command-and-control nodes that could vector his fighters to intercept enemy aircraft. Yet, we might never have heard of the Dowding System were it not for British civilians’ development of a new technology that revolutionized air defense. A government-funded research team led by scientist Robert Watson-Watt developed the vital new radio direction-finding technology (later, radar, for radio detection and ranging), which Dowding would integrate into the air defense system over the next few years.Watson-Watt’s work was underwritten by Henry Tizard, president and rector of Imperial College London, who headed a government committee directing air defense research. Radar represents the synergy that is possible when government, academia, and industry align to find defense solutions. Of course, an effective air defense network must not only detect inbound attackers but intercept them. To this end, the RAF’s market of defense suppliers fashioned numerous fighter types, two of which would become the icons of the Battle of Britain. Sydney Camm and the engineers at Hawker produced the rugged Hurricane, an evolution of earlier fighters. The Hurricane’s simple design made it easy to mass-produce, operate, maintain, and rearm in a hurry. Meanwhile, Supermarine’s chief designer Reginald Mitchell created a revolutionary, highly-effective, and by all accounts glamorous fighter in the elliptical-winged Spitfire. A match for any fighter produced in the interwar period, the Spitfire’s design was “so brilliant and so advanced” that “it was the only Allied aircraft to be in the front line when the war began and on the day it ended,” having defeated many a Messerschmitt in the interval. DIRECTED BY THE INNOVATIVE DOWDING SYSTEM, PILOTS OF THE ICONIC SPITFIRE AND HER WORKING-CLASS COUSIN, THE HURRICANE, DENIED THE LUFTWAFFE AIR SUPERIORITY OVER THE ENGLISH CHANNEL, MAKING A GERMAN INVASION UNTENABLE. So, despite its strategic bombing origins, the RAF claimed its place in history as a defensive force in the Battle of Britain. A strategy for survival, dependent upon airpower, aligned the efforts of Britain’s government, military, and industry. Directed by the innovative Dowding System, pilots of the iconic Spitfire and her working-class cousin, the Hurricane, denied the Luftwaffe air superiority over the English Channel, making a German invasion untenable. Interwar Germany and Britain prioritized different security requirements, and therefore developed different air power capabilities, with varying degrees of success. Germany developed a world-class air-ground team, whose aircraft and aviators supported their army’s advance to the very Western edge of the continent. Beyond that edge, Hitler found the Luftwaffe lacking. Or more fairly, Hitler’s grandiose strategic aims overshot the Luftwaffe’s physical limitations. On the other side of the Channel, the British created two legendary fighter aircraft and a system whose design remains foundational to air defense systems today. Even with such marvels to rely upon, defending Britain cost the RAF dearly, requiring great bravery and sacrifice. POLITICAL AND MILITARY LEADERS TOGETHER MUST PRIORITIZE DEFENSE REQUIREMENTS IN TERMS OF THE STATE’S GRAND STRATEGY. Do these historical cases provide any relevant lessons to the contemporary strategist? If this article has emphasized one idea, it is the Clausewitzian imperative for political and military leaders together to prioritize defense requirements in terms of the state’s grand strategy. This can be a herculean task; having military professionals who can articulate a clear, forward-looking vision helps. If statesmen and soldiers together can discern future operational requirements, a military force stands a reasonable chance of marshaling the state’s brain power and resources to innovate defense solutions. Motivated military personnel have historically played central roles in driving defense innovations forward. Guderian, Richthofen, and Dowding provide three examples from the interwar period, and military officers must continue to serve as “system builders” today. It is not the system builder’s role to invent the next game-changing weapon, nor does one have to be a visionary to be an innovator. Richthofen did not invent the Stuka, nor did its utility appear to him in a dream. He put the new aircraft to the test, and it proved to be the answer to operational requirements. Dowding did not invent the radar; he recognized its potential and led the effort to integrate it into Britain’s air defenses. Today, just as in the interwar era, military professionals must discuss operational challenges with government, industry, and academia, recognize good ideas when they see them, and figure out how to integrate new capabilities. Opportunities abound for these discussions and partnerships, from traditional military research, training, and education venues, to newer constructs including DIUx, the Defense Entrepreneurs Forum, and defense-focused new media. For a less structured setting, the author recommends any pub that pours a proper stout—let the bar-napkin diagrams fly. Whatever the medium, strategists, soldiers, and civilians must prioritize national security threats and soberly identify military challenges, in order to develop relevant innovations. 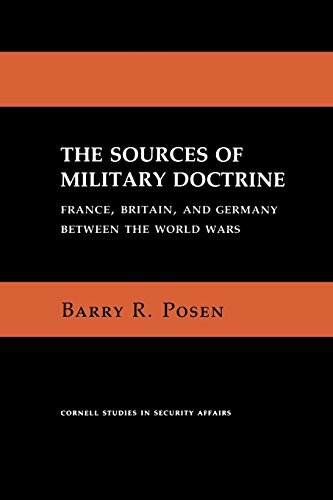 Posen found that in the battles of 1940 in Western Europe, “Each battle was won by the side that had prepared for it.” This advantage is not reserved for the aggressor. Britain managed to innovate crucial new tools—the Dowding System and the fighters that gave it teeth—despite its myriad international concerns and its limited appetite for armed conflict. A state does not have to desire war to effectively formulate requirements, marshal resources, and attract the necessary talent to turn new theories of victory into capabilitiesthat can deliver it.